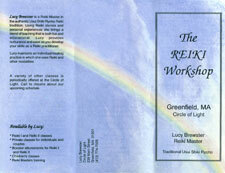 Diane Clancy worked closely for several years with Lucy Brewster designing marketing materials for her Reiki practice. Diane and Lucy closely collaborated to make creative materials to support Lucy's Business. 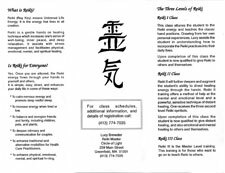 Diane Clancy's specialty is working with you to clarify and showcase your own ideas and talent. Please give Diane a call at 413.773.7333.